The term “nonprofit organization” may well be misleading. Some might think nonprofits aren’t really businesses. Ah, but they are; indeed, some are large, intricate and highly regulated businesses. Like for-profit businesses, they need revenue to execute their missions. When that revenue falls off, they must make creative and/or hard-nosed business decisions. This is the leaky boat in which many of the state’s nonprofits, particularly those under contract to provide human services to the state, find themselves. Their state funding has been flat or slowly reduced over the past dozen years — “a death by a thousand cuts” one advocate called it — particularly after the 2008 Great Recession and subsequent state budget crises. Writ across the hundreds of nonprofits that contract with the state, thousands of clients have seen services eliminated, reduced or delayed, and hundreds of workers have lost their jobs. 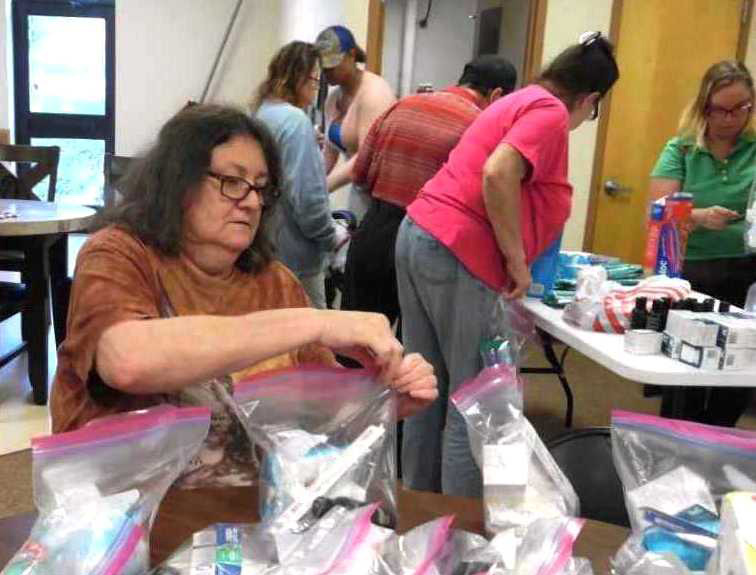 “This is as bad as I have seen it,” said Kim Beauregard, who heads InterCommunity, Inc., a nonprofit that serves more than 10,000 people in 17 sites in the central part of the state and has been in the business for more than three decades. Workers did get a tiny cost of living adjustment, and some got a small raise, after a threatened strike earlier this year, but this was an anomaly. Most hadn’t had a cost of living adjustment or raise in more than a decade. A few nonprofits have folded. For example, Families in Crisis, a nonprofit that worked with the families of people in prison, closed last summer. The agency worked with families in Hartford, New Haven and Waterbury and once had 30 employees, according to filings. Sarah Reith, who has autism and Down Syndrome, liked keeping active at her state-sponsored program. Now, however, like so many others, she’s on a waiting list. Oak Hill, Inc., the largest human service nonprofit with 1,500 employees, has had to close six group homes and four adult day programs after cuts left the organization $1 million short in each of the last four years. BHcare, a North Haven-based provider of mental health, addiction and related services to residents of 18 towns, has seen cuts of more than $1 million between July 1, 2015 and June 30, 2017. The cuts have cost the agency 18.35 full time equivalent staff positions as well as some program closures and other cutbacks, said president and CEO Roberta Cook. She said the agency provided mental health and addiction services to 3,500 people in 2015, but the number of clients has dropped to just below 3,000. “Our clients were devastated by the change,” she wrote in an email. Wellmore Behavioral Health, which serves about 10,000 people in 43 towns, lost $3.5 million in state funds in the same period and has had to close group homes, including a therapeutic group home for boys in Waterbury, a supported apartment program for older adolescents, and other programs. The Waterbury-based nonprofit has lost about 50 employees, a sixth of its total. “It is a frustration that we’ve had to forego services we’ve provided for years,” said CEO Gary Steck. 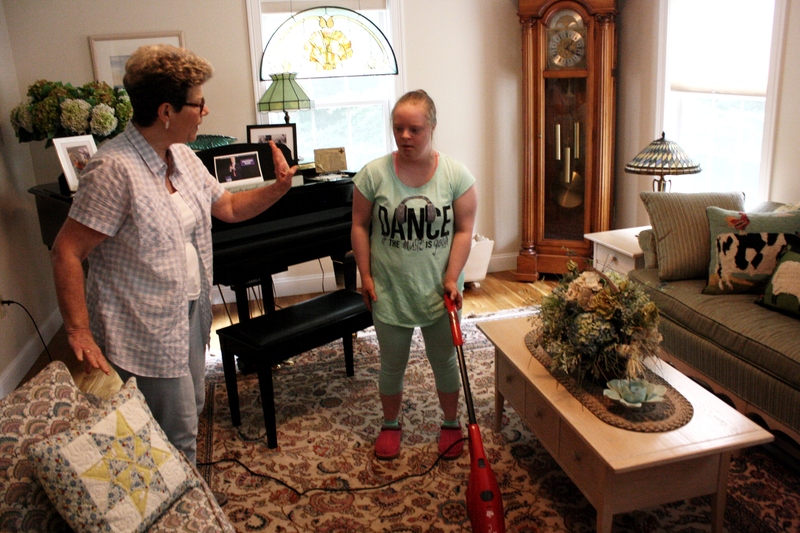 Oak Hill has taken on Gilead Community Services, Inc., of Middletown and Easterseals of Coastal Fairfield County, headquartered in Stamford. Wellmore Behavioral Health is the result of the merger of Wellpath and Morris Foundation, two Waterbury-area nonprofits. Budget pressures caused the merger of Tri-County ARC of Vernon and Whole Life of New London, which now operates under the Whole Life, Inc., name. InterCommunity, Inc., and Alcohol and Drug Recovery Centers of Hartford entered into a formal corporate affiliation in 2015, and operates under the InterCommunity name. BHcare was formed by a 2012 merger between Birmingham Group Health Services and Harbor Health Services. Community Enterprises and Human Resources Unlimited have merged into a new entity, Viability, Inc. It is based in Northampton, Mass., but has offices in Windsor and East Hartford. 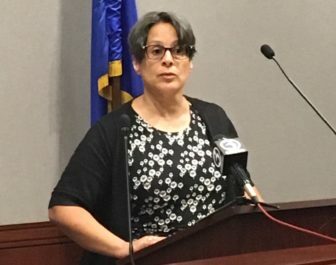 Connecticut AIDS Resource Coalition (CARC) and AIDS Project Hartford (APH) merged into AIDS Connecticut (ACT). 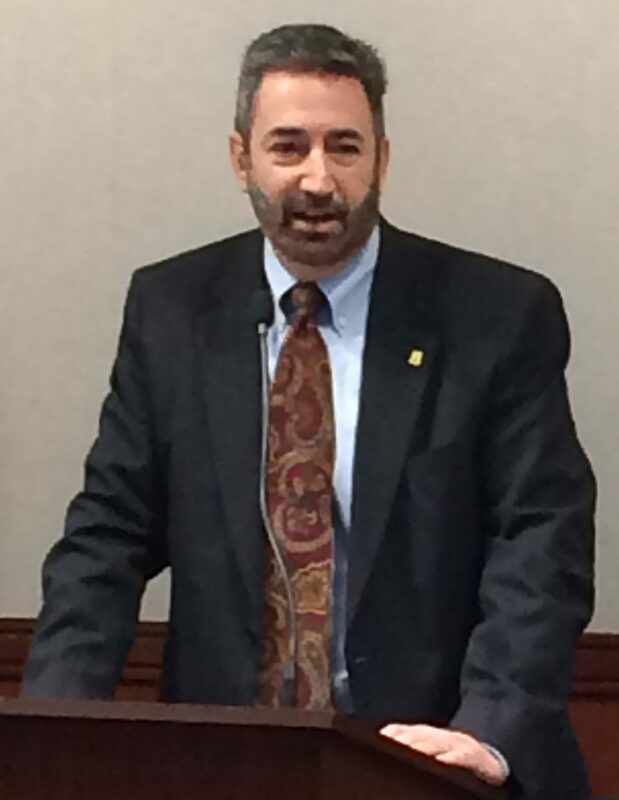 After the cuts of the last two years, Will Ginsberg, president and CEO of the Community Foundation for Greater New Haven, said some nonprofits in his area are scrambling to find merger partners to help them stay in business. That is the case in other parts of the state as well. Most of the nonprofits that contract with the state have tried to streamline their operations. There are resources to help. The Alliance, “The Voice of Community Nonprofits,” represents more than 300 nonprofits. The association offers an array of education and training opportunities, along with an employee benefits program, a job board and a joint purchasing program, and it advocates for nonprofits, said president and CEO Gian-Carl Casa. In 2011, Gov. Dannel P. Malloy created a Governor’s Cabinet on Nonprofit Health and Human Services, made up of nonprofit and state agency officials. The cabinet has produced some useful policies, including access for nonprofits to the state’s LEAN management program, an approach to running an organization that stresses continuous improvement via incremental incremental changes that promote efficiency and quality. Also, an organization called TANGO, for The Alliance for Nonprofit Growth and Opportunity, offers assistance to nonprofits in banking, benefits and risk management, IT, marketing and other services. Jack Horak, who focused on nonprofits in a 36-year legal career and now is director of education and consulting for Tango, has just released a book, “The Tango Nonprofit Method,” aimed to help nonprofits became more efficient and effective. Tango has 1,200 nonprofit members in New England, about 60 percent in Connecticut. Most of those are by now pretty lean. Last winter the The Connecticut Legal Rights Project, a nonprofit agency that represents low income persons with mental health issues, filed a class action lawsuit against the state alleging that patients able to live in the community are being kept too long in state psychiatric hospitals because the state has failed to create an adequate system of community care. Many nonprofits have embarked on private fundraising campaigns, with the goal of diversifying their sources of revenue. Along with perennials such as golf tournaments and galas, many nonprofits are going to foundations and corporate givers to help make up for the cuts in state aid. The funders — some at least — are responding. A survey in November by the Connecticut Council for Philanthropy of its 110 members found that 25 percent of the foundations which answered the survey were responding to the state’s fiscal crisis, nearly all by sending more money to nonprofits. Another 44 percent are considering a response, half by committing more funds to nonprofits, while still others plan to offer learning sessions about mergers or to advocate for nonprofits. Catholic Charities of Fairfield County is finding it a little harder every year to operate its outreach and treatment program for clients who struggle with depression, schizophrenia, bipolar disorder and other mental illnesses. For example, the United Way of Central and Northeastern Connecticut, the largest of the state’s 15 United Ways, repurposed $458,000 over the past two years to stop program disruptions at nonprofits the organization was already supporting, said President and CEO Paula Gilberto. Many nonprofits have embarked on what are called social enterprise projects. Though there are many kinds of social enterprises, a typical one uses a business or commercial strategy to raise revenue for a public good (Goodwill, Newman’s Own, etc.). The Wheeler Clinic, which is based in Plainville and serves 30,000 clients across the state from more than 30 sites, has been particularly active in this area. Wheeler has a program that develops employee assistance programs for companies. The clinic has also entered into agreements with private commercial insurers such as Anthem to provide services such as in-home psychiatric services for children. Wheeler also serves as a contractor for some hospitals, providing behavioral and psychiatric services, said chief operating officer Sabrina Trocchi. While the fundraising is important — “every dollar counts,” said Steck, of Wellmore Behavioral Health — it doesn’t make up for the loss of state funds. Take Oak Hill. Older nonprofits tend to have endowments and longstanding corporate donors. Oak Hill, which traces its origin to a 19th century school for blind children, is so blessed. President and CEO Barry Simon said he has to use all the interest on the endowment along with private fundraising to come up with $5-6 million each year to subsidize his budget. But he said he has been short about $1 million each year for the past four years, forcing him to cut group homes and programs. He thinks this is unfair and inefficient. After being hammered for the past dozen years, heads of many nonprofits wonder if things can possibly get worse. Indeed they can. First, there is the property tax. For years, nonprofits have enjoyed exemptions from local property taxes. But, perhaps driven by towns’ urgent need for more revenue, assessors in 44 towns have denied or challenged tax exemptions for nonprofits, according to a survey released by The Alliance on May 1. For example, there was a furor in Norwich when the city’s assessor denied 36 nonprofit tax exemptions this spring. 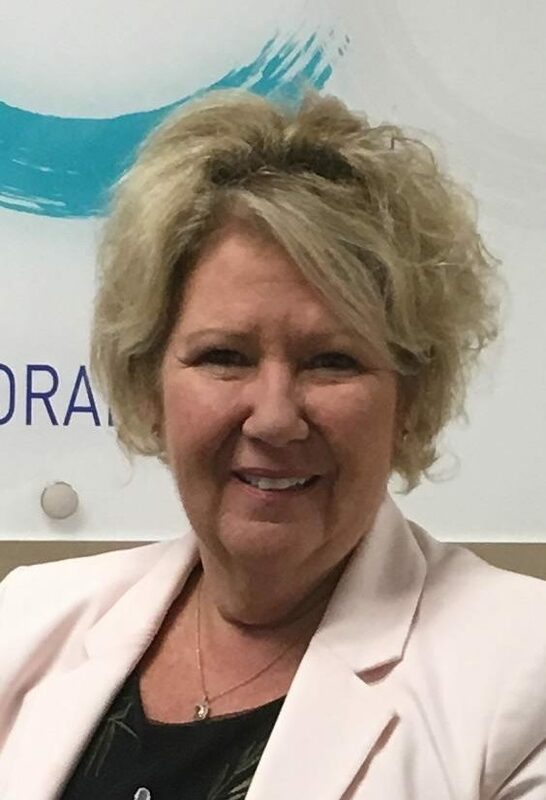 After public outcry from nonprofits, tax assessor Donna Ralston has agreed to review some of the rulings. She said in a telephone interview that some nonprofits failed to make the quadrennial filing, or didn’t answer all the questions on a new and more extensive application form. Whatever the cause, the idea is highly unpopular among nonprofit officials. “Taxing nonprofits is a terrible idea,” said Rick Porth, President and CEO of the United Way of Connecticut, for the fairly obvious reason: Money paid in taxes is money that cannot help people with developmental disabilities, mental health issues, addiction, etc. “This is the safety net,” said Porth. In addition, the towns would be mostly taxing state money for human service nonprofits, an odd scenario that somewhat defeats the purpose of the state funding. What happens in Washington flows quickly into Connecticut. One wave is the new federal tax law, which bodes ill for nonprofits. Though the charitable deduction remains, increases in the standard deduction and estate tax limits, as well as some other changes, suggest there will be fewer people itemizing and less charitable giving. The Tax Policy Center estimates charitable giving will drop by about five percent. Also, the IRS has stepped up review, reporting requirements and enforcement of something called the Unrelated Business Income Tax. Though new guidelines haven’t yet been issued, nonprofits could end up paying more taxes on their social enterprise projects, corporate sponsorships and other sources of revenue that aren’t directly related to their charitable missions. Finally, if President Trump and his Republican allies follow through with their threats to cut Medicaid, the result could be catastrophic for Connecticut nonprofits. Current Medicaid rates don’t cover the costs of nearly all treatments. So, as Casa and others say, nonprofits are at the breaking point. If the cuts continue, it will mean more people with mental health and other issues using emergency rooms, more people on the street, and more people in jail, said Beauregard, of InterCommunity. It also means the state won’t be saving money, one of the main reasons to use nonprofits.